I decided to keep Making of TAGAP 2 a spoiler-free feature. However, covering the world and basic plot of the game is impossible without dropping a couple of spoilers for those who haven't completed the original game. If you don't want to know what happens in the original TAGAP, stop reading now. As for TAGAP 2, most of the plot covered here will be revealed very early on in the game (during the opening cinematic and the first level, in fact). Still, if you don't want to know anything about the plot before starting the game, consider yourself warned. Before we go deeper into the world and backstory of TAGAP 2, we'll have take a look at how things were done in the first TAGAP. When I started the project, TAGAP practically had no plot. I did have a vision of space penguin going on different planets, but the gameplay slowly mutated, ultimately making it incompatible with the original plot. I had to come up with something else, so I turned into one of my earlier pet projects that never materialized, a comic book script called 'Birdseed'. While similar in storyline, TAGAP and Birdseed are like night and day in terms of depth. Birdseed was an experiment to wrap up a social/moral statement into entertaining action shell. For TAGAP, however, I chose to use the only bare plot essentials; There is a penguin who has been used in vile experiments by this evil scientist. I wanted TAGAP to be as care-free entertainment as possible and thus I ripped out all additional characters, social and moral commentary about animal experiments and the meaningful ending. For TAGAP 2 we naturally couldn't go down this path. In fact, as the Birdseed ended in main hero's escape from the facility, TAGAP ventured a lot further, thus eliminating all possible connections to the original comic book story. TAGAP 2 had to be something completely new yet fitting to the continuum. First step of crafting a proper senseless video game world is designing the villain. Concept of Primo was born pretty early, but even though he is one awesome character, he begged for question; Where did he come from? Is he some Dr. Glowenko's forgotten experiment? Evolved version of the TAGAP zombie penguin survivals rising to power? The answer came actually from very unusual direction; Real life. You see, I was experimenting with the new drug hallucination effects for TAGAP 2, but started to hesitate; Did it make any sense that the same drugs Pablo munched in the previous game suddenly had completely different side effects? Then I remembered my own experiences with prescription medicines. You know that many drug companies have the same drugs on sale under different names? They vary in prices too, namely because they've been manufactured in slightly different way – i.e. one drug might be comprised of naturally harvested compounds while the other is exactly the same, but 100% synthetic. As the result, two drugs, while having identical ingredients, can have totally different side effects. So its TAGAP alright, but manufactured by someone else? Who? And why? Enter REP.
Aptly named Random Evil Pharmaceuticals (or REP for short) is the fabric that ties everything in TAGAP 2 together. While concentrating mainly on drugs and health care products, being a massive multi-sector, multi-national enterprise, REP has subsidiaries all around the world. 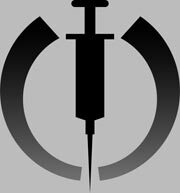 One of those happened to be Glowenko Industries, REP CEO's own pet contracted to create an invincible army of killer cyborgs. Unknown by the REP CEO, Dr. Glowenko (being the nutcase he was) abandoned the proper research and going for penguin apocalypse. Their genius Dr. Glownko going AWOL and solo, REP finds themselves left with perfected blueprints of cyborg army... of penguins. Still eager to continue the project but lacking a visionary leader able to adapt the technology for use with other species, REP restarts the project creating a new penguin army – and their new general, Primo. And when Pablo and Primo stumble upon it all, the game is on. The plot will be revealed via several storytelling methods; in-game dialogue between Pablo and Pedro, cinematics and InfoComp entries (which now are fully-illustrated data entries that, once unlocked, can be read at any time from the main menu). While I won't spoil the plot any further, rest assured its all a lot more fleshed out this time around, though you can ignore it if you so choose and concentrate on bringing on the Penguin Apocalypse.